My Good Fortune Quilt with Denyse Schmidt’s Chicopee Fabric is finished! I finished it a couple of weeks ago but have not found time to share this with everyone. 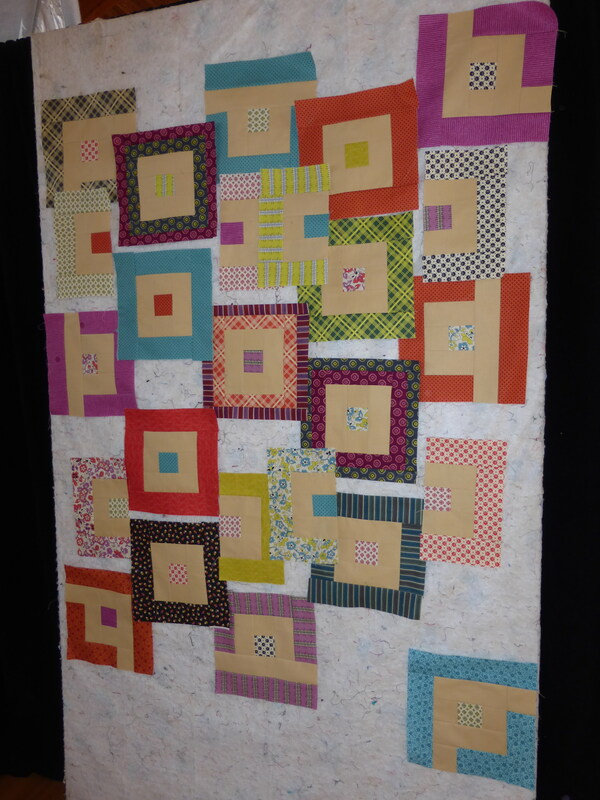 This is the quilt top that I put together at the BMQG retreat in March. 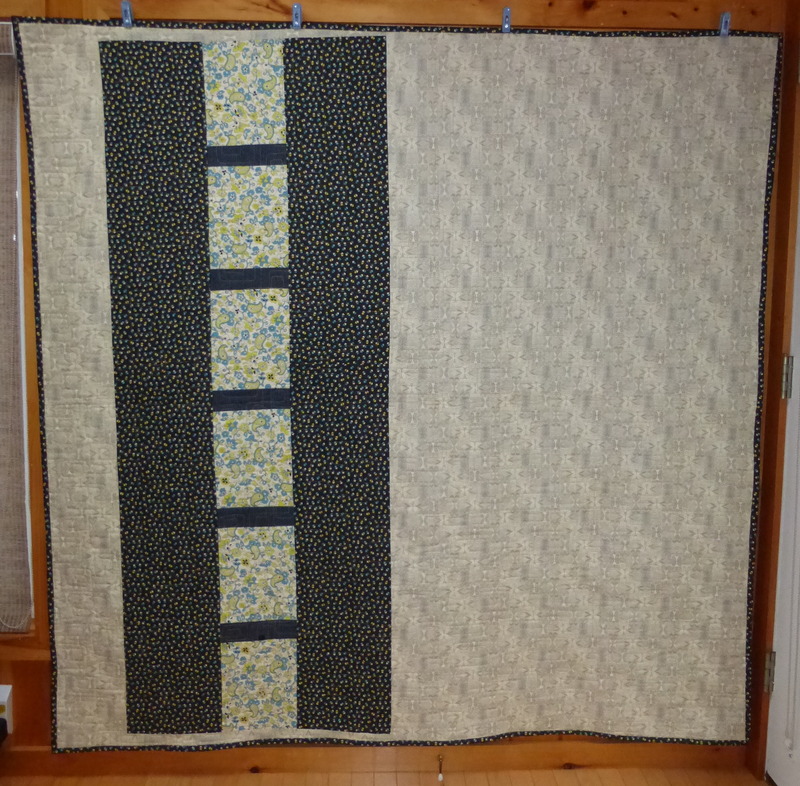 I used Patricia Ritter’s Bauhaus pantograph for this quilt. 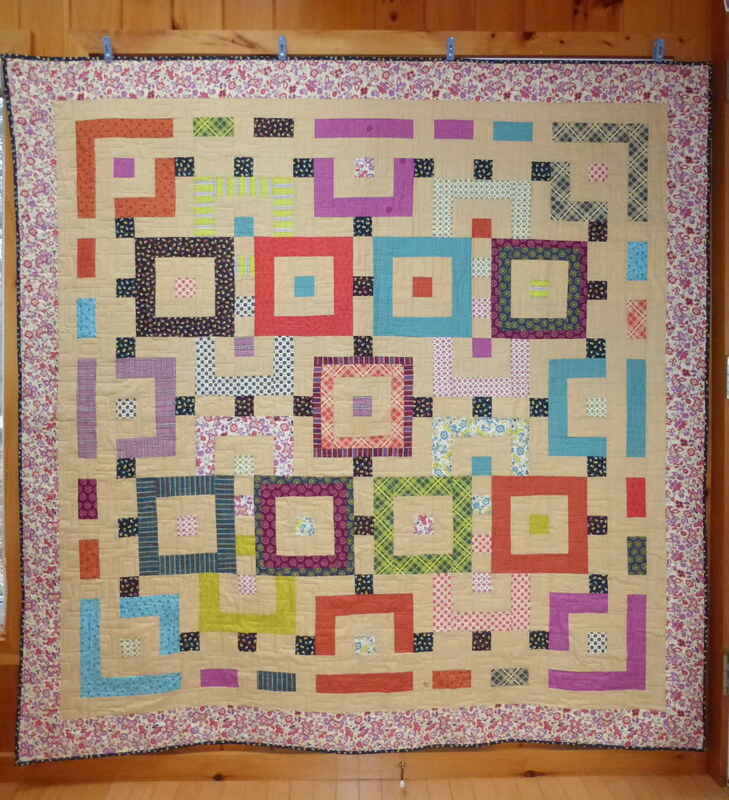 I know, I know, I should have just free motion quilted, but I am a big wimp and do not trust my skills for keeping things even and consistent. I want more time to practice and play! But, I am happy with what I have accomplished with this quilt. This entry was posted in Boston Modern Quilt Guild, Pantos, Patterns, Quilts and tagged Chicopee, Denyse Schmidt, kate spain, modern quilt, Patricia Ritter on April 24, 2014 by pmegio. 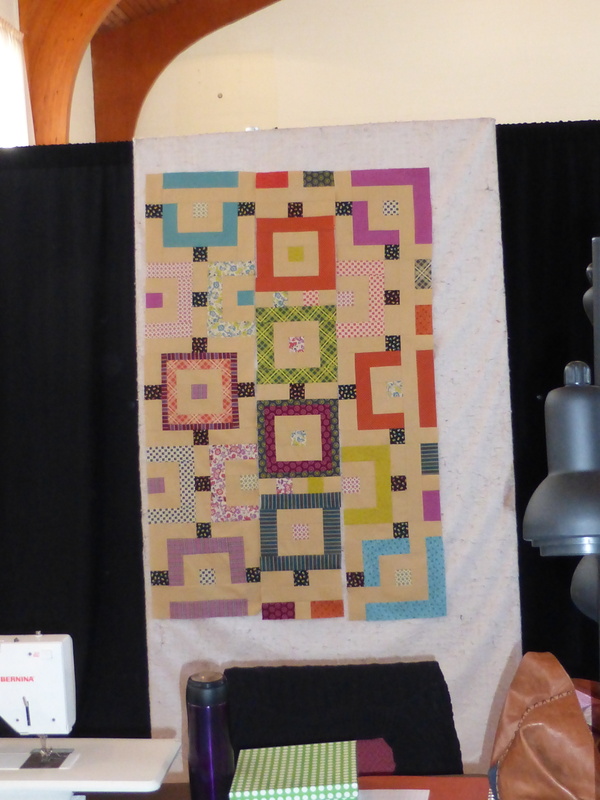 I spent the weekend at the Franciscan Guest House in Kennebunk, ME at a retreat with the Boston Modern Quilt Guild. 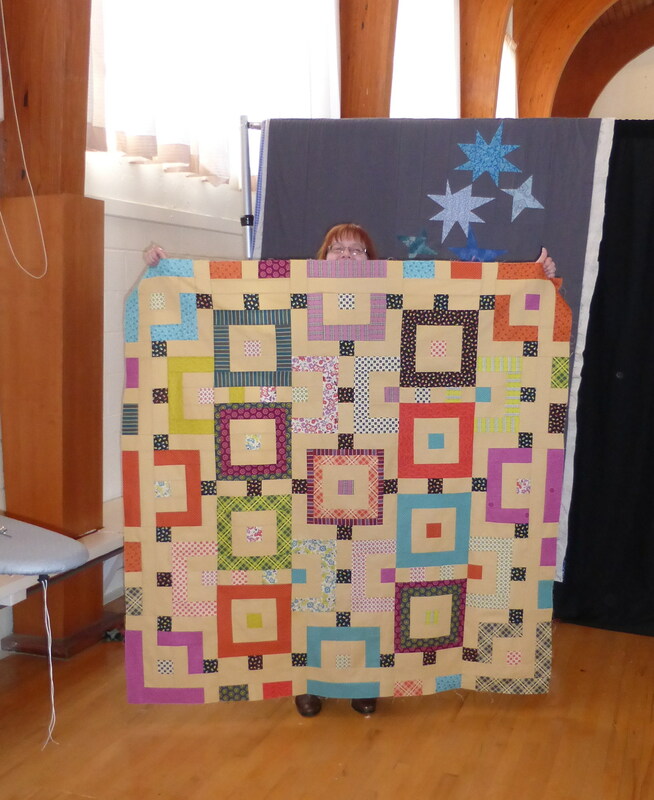 Quite the quilting adventure. 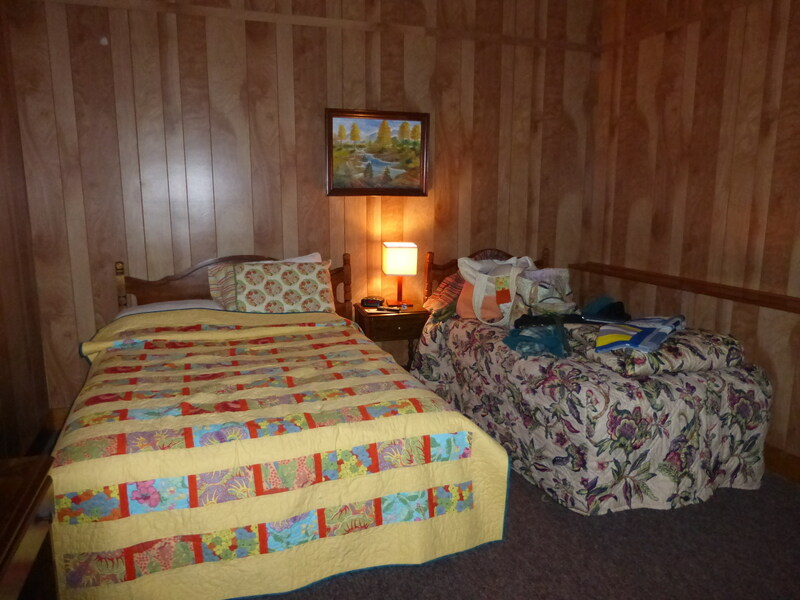 The accommodations were a bit rustic, but that just added to the feeling of being away at Quilt Camp! The Gymnasium we were working in was the best with lots of sunshine streaming in and plenty of goodies to munch on. I decided to use my Denyse Schmidt Chicopee 2 1/2 inch strips. I hope Kate Spain does not mind that I used her Good Fortune pattern! The pattern is quite intricate and one should not participate in Happy Hour when trying to puzzle through which sashing goes with which type of block … unless one has a seam ripper! I was amazed at the productivity of everyone. I was happy to get my one project to quilt top stage, but people were going from fabric to quilt or going from project to project. And, there was also lots of great improvisational piecing taking place. I also have to thank Janis for inviting me on her road trip to Mardens. 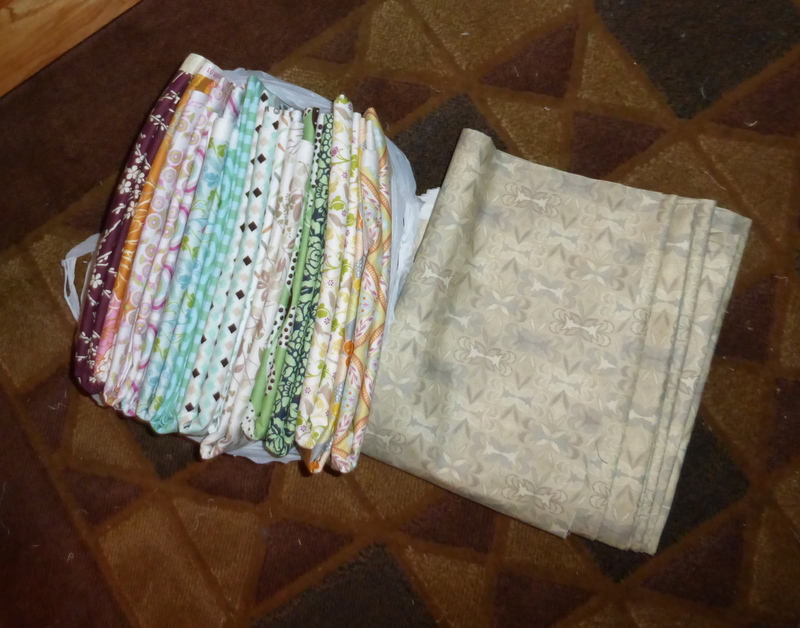 My fabric haul was modest at 25.75 yards with an average cost of $3.30 a yard! What an amazing place with lots of ultra modern fabric for no more than $4.50 a yard and then there were those bins with fabric for only $1.50 a yard … good designer fabric! Woot Woot!! This entry was posted in Class, Patterns, Quilts and tagged boston modern quilt guild, denyse scmidt, francisan guest house, good fortune, kate spain on March 17, 2014 by pmegio.